The kids will love playing through the Jungle Safari Mini Golf caves! 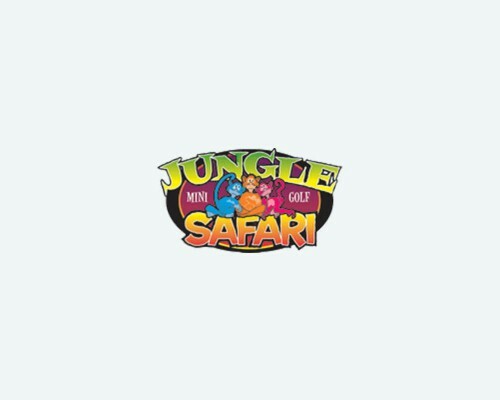 Prepare for a jungle safari mini golf adventure! Putt through waterfalls & across streams on this challenging miniature golf course. Swing your way around life-sized elephants, giraffes and other big game. Jungle Safari Mini Golf in Myrtle Beach offers two 18 hole courses. Recently renovated this course is absolutely beautiful and not to difficult to play. 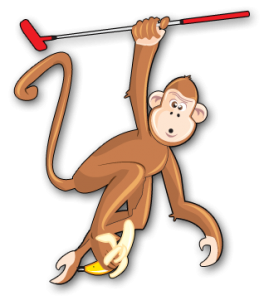 Jungle Safari Mini Golf is part of the Burroughs and Chapin family of Myrtle Beach mini golf courses. Myrtle Beach is home to Jungle Safari mini-golf and it’s time to go deep into the Myrtle Beach forest and experience the real-life adventure of this mini-golf course of the wild. Here, you’ll putt through the vast savanna of Myrtle Beach while some of the world’s most spectacular wildlife surrounds you. This is a protected refuge, so stay on the mini-golf paths before you. There will probably be something lurking along the way…maybe the likes of an elephant, giraffe, zebra or other wild animal that could come into play. So, grab your putter and favorite colored mini-golf ball and head into the jungle. But remember, on your quest to become the Myrtle Beach “King of Jungle” Safari mini-golf, you’re in the jungle…play by their rules.